1. I Just Turned 61! Everyone knows the Forever 21 brand, popular because we all want to look and feel just what the brand promises. I once believed that raw foods could halt aging indefinitely… as in, stop it. Above was my Facebook post on my birthday, the 22nd of January. I am deeply grateful for many heartfelt birthday wishes I received from my friends and followers. It means a lot to me that you took time from your busy lives to wish me a happy birthday. There was also one inquiring comment: Why is that some people do not react well to raw foods? I realize not all of you use Facebook and wouldn’t have seen my response. If you are one who has a similar challenge, I suggest you read my article on how to Prepare Your Digestive System for Raw Foods carefully. I hope you’ll find it helpful. Collagen is skin’s major component. It resides in the dermis and has a fibrous structure, rather like felt. When we lose collagen, our skin loses its firmness, its “bounce,” and becomes brittle and flimsy. Some people turn to beauticians who try to restore that facial collagen through creams, masks or injections. None of it works well. Healthy collagen fibers have a strong affinity for water. 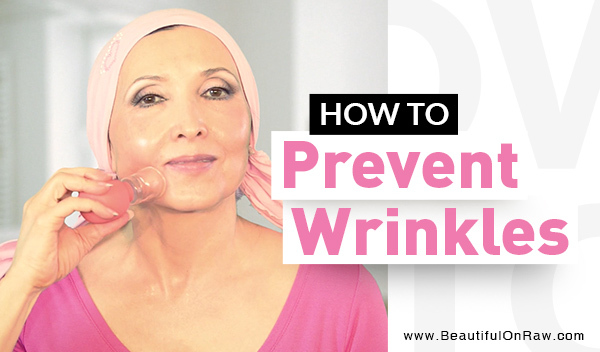 With age, they lose their hydrophilic properties. As a result, collagen fibers become hard, unable to keep moisturizing the skin. The channels that run between the collagen fibers become obstructed, and consequently the capillaries can no longer use them to send nutrients to the skin surface. 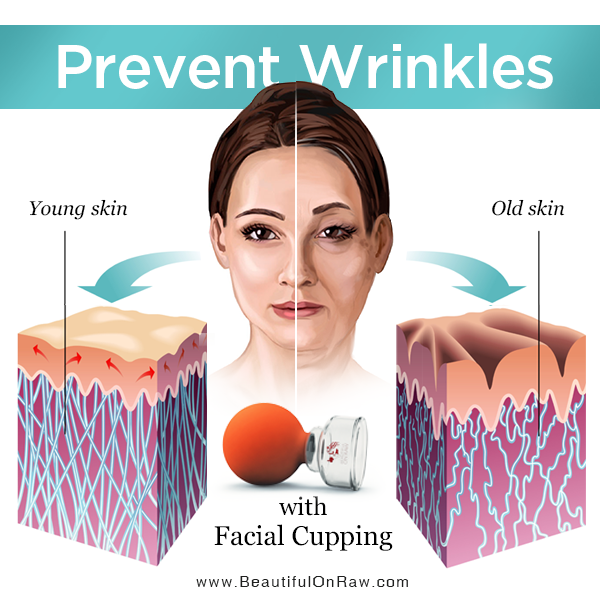 Cupping massage works by “fluffing” the collagen fibers. Cupping therapy strongly enhances capillary blood flow, even in places where it’s been stagnant. Continue reading here. Watch my new video below how to perform facial cupping. Just a reminder: In case you have trouble wading through my endlessly delightful accent, all my YouTube videos have subtitles now. Turn them on by clicking CC in your YouTube video. In this video I’m introducing my new creation: a suction cup for advanced facial cupping. 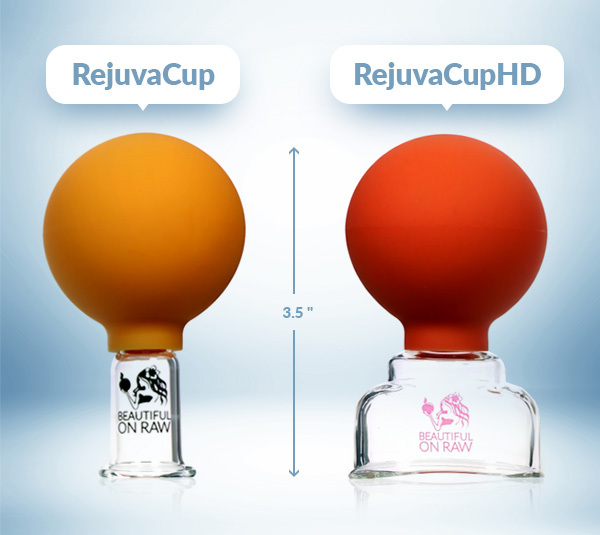 My first inclination for naming this new product was to call it RejuvaCup 2. But that would have meant it’s better than my original RejuvaCup. And it’s not better, it’s different. It’s a more advanced product for a more experienced user. Hence… RejuvaCup HD. So, why HD or high definition? HD means a high degree of detail in a digital image. In our case, it’s a high degree of refining the facial tissues to give you an exceptionally clear and rosy complexion. Q: Hi, Tonya. I have few broken capillaries on my face thanks to some harsh manipulation when I was younger. (I’m 56 now.) Since then I’ve always tried to be gentle on my facial skin. Do you think I can use the cupping method? How strong is that suction, anyway? A: When you want to improve things, you must make a change. Changing jobs, moving to another place, ending or starting a relationship… you name it. There’s always a risk that things won’t go the way you expected. You’ve always been gentle with your face, you say. So, are you happy with your complexion? If you are, then there’s really no reason to change anything. However, my everyday observations tell me that “being gentle with your facial skin” typically just makes you look your age. At age 56, a few broken capillaries, not to mention some moles and age spots, aren’t out of line for the average person. That’s how most people look. Now, in the video above I’m demonstrating my own brand of “harsh manipulation." Why? Because I don't want to look 61, my chronological age. In fact, I want my skin to look many years younger than expected in a mature face. Big ambitions mean taking big risks. So, I take risks. In fact, in my effort to restore full wholeness in my body, I've taken risks constantly. I took up yoga after serious hip surgeries, and in spite of my doctor’s insistent demands, “Absolutely no yoga.” I went 100% raw more than twenty years ago. I was the first person I know of who attempted facial dry brushing. All my experiments carried some risks. Thankfully I am very happy with the results. Is there a risk you’ll incur a broken capillary in cupping massage? Sure. As well, you might get a rash or blemishing. Keep in mind, a healthy capillary is not going to break. If there are no toxins stored under your skin, no blemish will ever appear. Everything unhealthy… get it out. You don’t want it sitting and festering underneath because sooner or later, all this junk will come out in one form or another through the abnormal spots and growths you see in older people. Are there ways to minimize the risk of a broken capillary or a blemish appearing? Yes! Start by upgrading your diet. Daily juicing—this alone will bring a visible vitality to your facial skin. Try dry brushing, or try our Strigil, before you use our RejuvaCup. But of course, I don’t know how your skin, specifically, will react. Every individual is different. There are endless factors that come into play. Read article the How to Get Rid of Broken Capillaries for more ideas. When you do start cupping, be sure you practice cupping at a basic level using the RejuvaCup for 4-to-6 weeks before you graduate to level-2 cupping with our RejuvaCup HD. So, that’s what I think. But it’s more important how you feel about a certain practice. Go with your gut. Don't underestimate the power of your beliefs. They can make or break any practice—a raw food diet, yoga practice, or facial cupping. Educate yourself first. Then decide. The decision is always yours, as are the consequences. 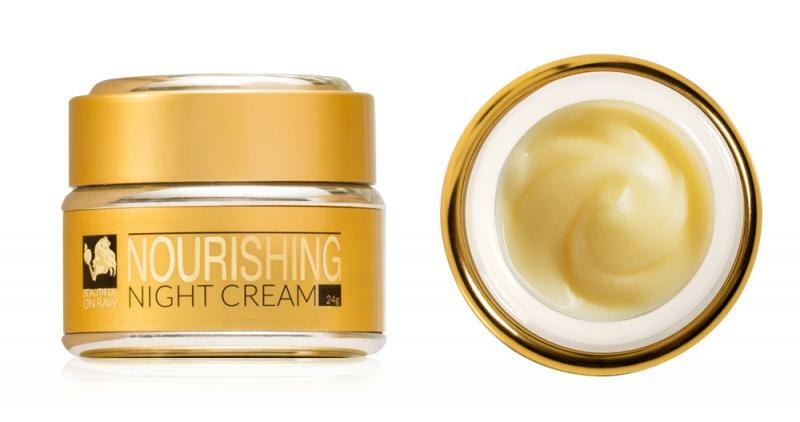 My Nourishing Night Cream makes me proud. There’s nothing like it on the market. Preservatives, emulsifiers, stabilizers—none of those here! Water-based creams need to contain those ingredients, but our Nourishing Night Cream is oil-based. This makes our product handy to use during knuckle massage or cupping massage, and as a base for the Strigil scraping technique. It’s wonderful to use just before going to bed after a good dry brushing. This cream is a combination of the most beneficial to skin oils known—shea butter, sweet almond, coconut, argan, sea buckthorn, pomegranate and rosehip seed oils, to name a few. It offers a luxurious, creamy consistency. No other oil works as well for my beauty routine as this night cream. It’s smooth, soft, and it absorbs fabulously—just right for all the facial stimulation practices I recommend. Our Nourishing Night Cream will help your skin heal faster after each beauty treatment, making redness disappear within seconds.